In an event at the Assembly Hall in Swaffham, the ten recipients were presented their awards by our President, the Lord Lieutenant of Norfolk, Sir Richard Jewson. 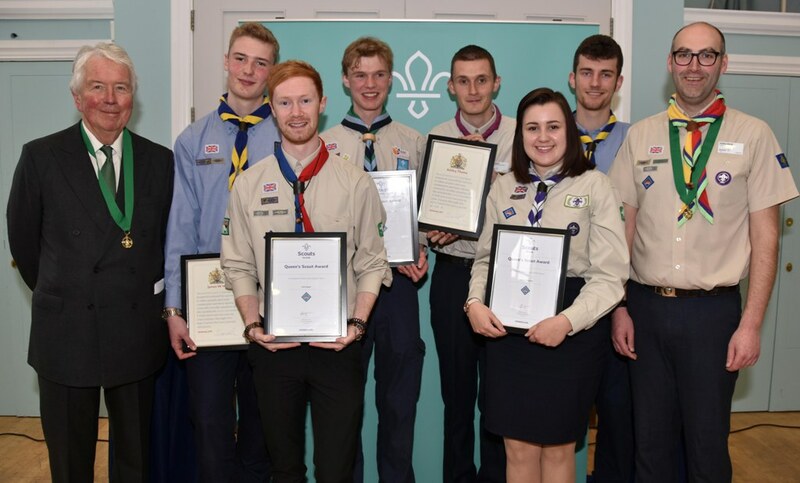 Also celebrated was the success of ten young people becoming Queen’s Scouts in 2018 and a tribute paid to a volunteer who was recognised for saving a life. Sir Richard gave a short speech where he highlighted the hard work and dedication of all adult volunteers and highlighted a number of key successes in Norfolk Scouting. He congratulated this year’s award holders, pointing out between them they had over 300 years of Scouting experience. 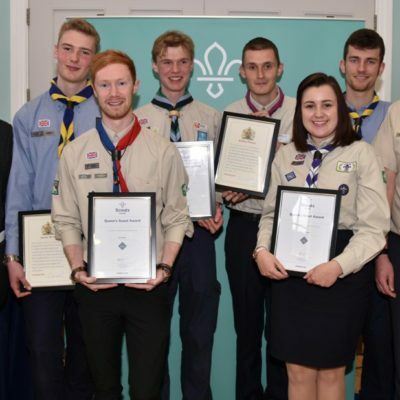 A Commissioner’s Commendation was also made to Norfolk Trefoil Guild for their many years of support to Norfolk Scouting and to Harriet Goldspink for her amazing work to document her Queen’s Scout Award adventure. The event happened slightly before St. George’s Day so that the recipients can wear their awards at their local or the National Celebration at Windsor Castle.